100 Women in Gold, Inc. presents its 7th Annual Scholarship and Awards Reception for FVSU Women Athletics, Saturday, August 27, 2016 at 5:00 p.m. in the C.W. Pettigrew Center at Fort Valley State University. 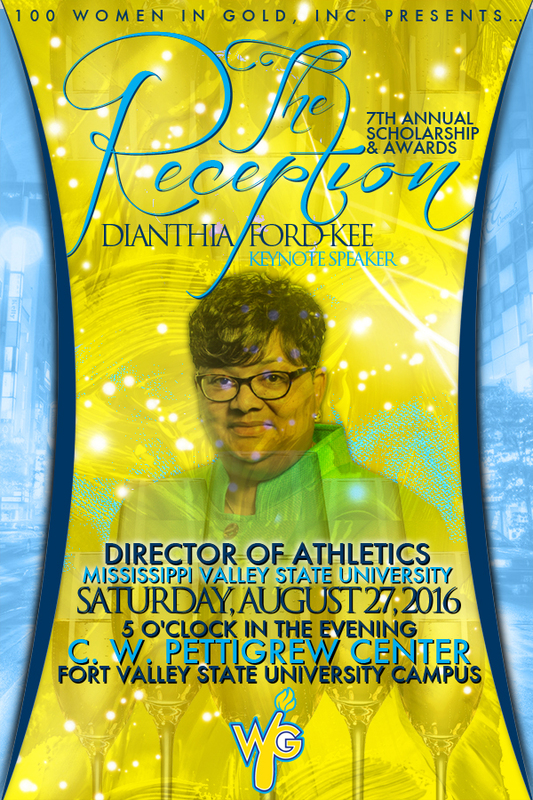 The keynote speaker will be Dianthia Ford-Kee - Director of Athletics, Mississippi Valley State University. This event is free to the public but seating is limited.